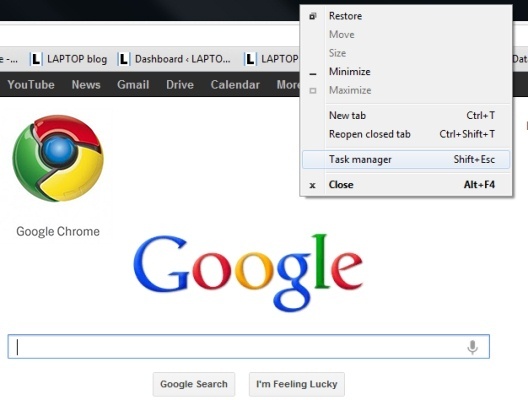 You can also use the keyboard shortcut Shift+Esc (Windows, Linux, and Chrome OS) to open the Task Manager. For each active item in Google Chrome, you can monitor the amount of memory taken up, the amount of CPU used, and the network activity (bytes sent and received). To force a webpage or application to close in Google Chrome, select the webpage, then click End process. Sometimes multiple websites might share a single process, depending on how you opened them.